MONTE CARLO -- Automotive safety specialist Autoliv is developing an alcohol breath sensor that will operate automatically when the driver gets in the car, the company announced. CEO Jan Carlson said the Swedish company was already testing the device, which would supersede breathalyzers such as Alcolock that require drivers to blow into a tube before the car's immobilizer is deactivated. "It should be seamless. You should not notice the car has an alcohol detection device in it," Carlson said on the sidelines of the Automotive News Europe Congress in Monte Carlo. The device is still five years off but he predicted a big uptake. "Everyone will be interested in it, particularly if it is affordable," he said. "If you look at the numbers, 30 percent of all fatalities are coming from driving under the influence. When you talk to parents with teenage daughters and sons they would love to have this device in the vehicle." 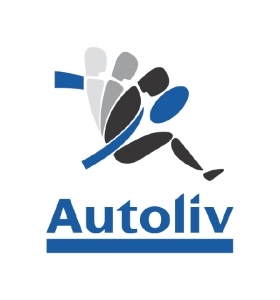 Stockholm-based Autoliv is shifting more of its focus towards activity safety systems after dominating the market in passive devices such as seatbelts and airbags. "We are spending significantly more money in active research rather than passive," Carlson told the congress. Systems developed by Autoliv include the Night Vision, which using infrared cameras. Carlson said the company will later this year release the third generation of this safety feature, which now detects animals in the driver's field of vision, as well as pedestrians.